The 73th edition of the annual awards were recently held in Mumbai. Anil Kapoor, who has created quite the buzz with his silver fox-y turn in Zoya Akhtar's soon to be released comedy-drama Dil Dhadakne Do, was felicitated with the Dinanath Mangeshkar Award of the year in Mumbai. The annual award show is held to commemorate the death anniversary of the singing doyen Lata Mangeshkar's late father every year on April 24. While Lataji gave the event a miss this year owing to ill health, several other film personalities turned up. A look at the ceremony. 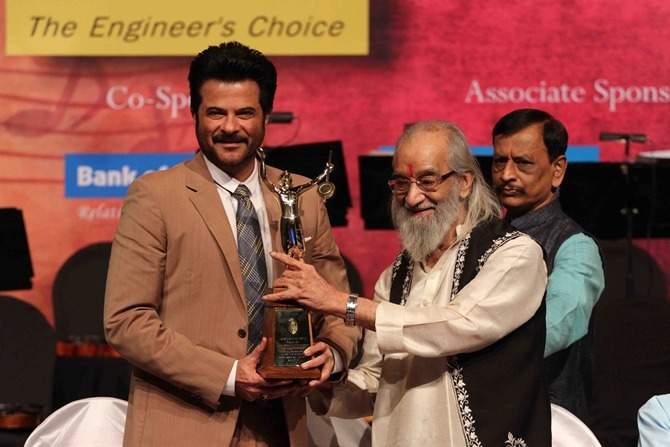 Anil Kapoor, who was admittedly 'thrilled' to be honoured, receives his award from historian and writer Babasaheb Purandare. 'I have received national and few international awards in my career so far, but this award is special, in fact, priceless for me,' the veteran actor was quoted as saying. "Blessed to be receiving 'The Deenanath Mangeshkar Award' and meeting our debonair CM of Maharashtra @Dev_Fadnavis," Anil posted on Twitter later. 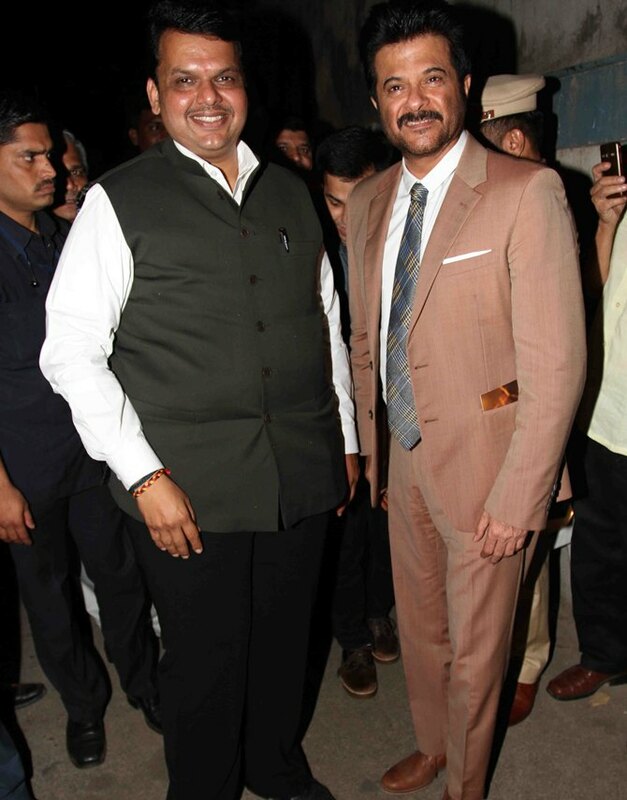 He is seen here posing for pictures along side Maharashtra Chief Minister Devendra Fadnavis. Kapoor was accompanied to the show by his eldest daughter -- actress Sonam Kapoor -- who looked magnificent in a white and gold outfit. 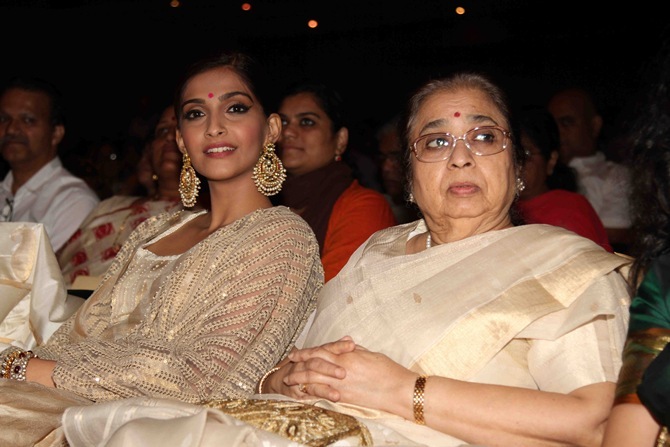 She is seated here next to Usha Mangeshkar. 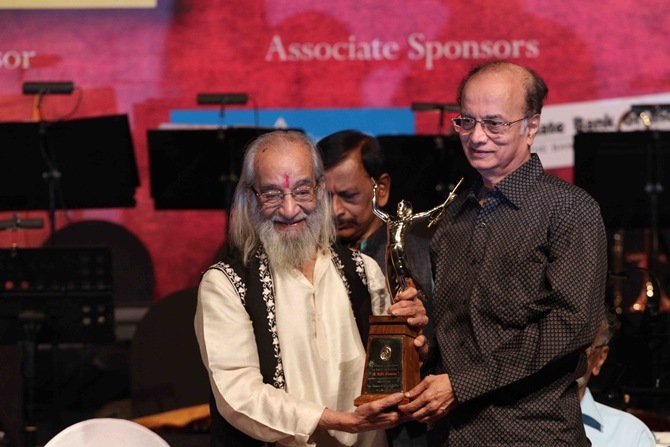 Veteran Marathi actor Dilip Prabhavalkar was also among the recipients. The award had gone to Bollywood actor Rishi Kapoor and tabla exponent Zakir Hussain last year.